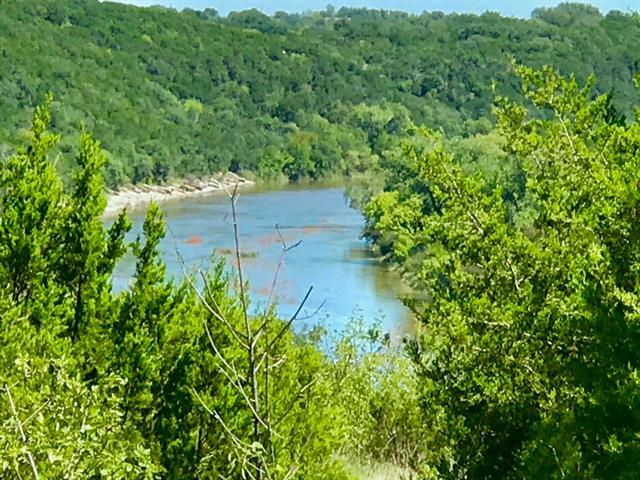 All Glen Rose homes currently listed for sale in Glen Rose as of 04/25/2019 are shown below. You can change the search criteria at any time by pressing the 'Change Search' button below. If you have any questions or you would like more information about any Glen Rose homes for sale or other Glen Rose real estate, please contact us and one of our knowledgeable Glen Rose REALTORS® would be pleased to assist you. 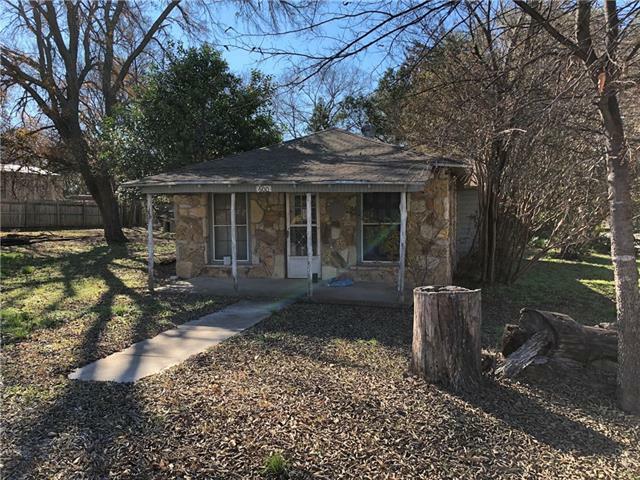 "The Frazier Ranch is a rare find on the Brazos River of 220.08 Acres of the most beautiful terrain around.Quaint 2 Bedroom 2 Bath updated cabin with hardwood floors, granite kitchen counter tops and large picture windows overlooking the Brazos River. Two high hilltops provide views for miles in several directions. A variety of trees from various Oaks, Pecan, Pine, Post Oak and Mesquite & Juniper cover the ranch. 3 ponds on the ranch providing surface water for wildlife & livestock. Approximately"
"STUNNING home combines a French country appearance & a comfortable floor plan with exceptional architectural insight. 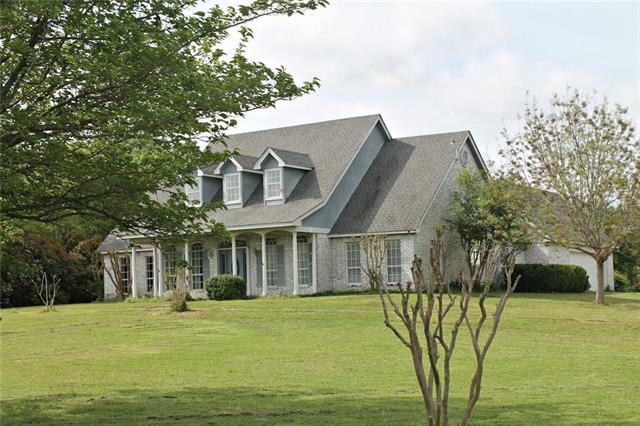 Beautiful family home in Glen Rose. Live large or live intimately. 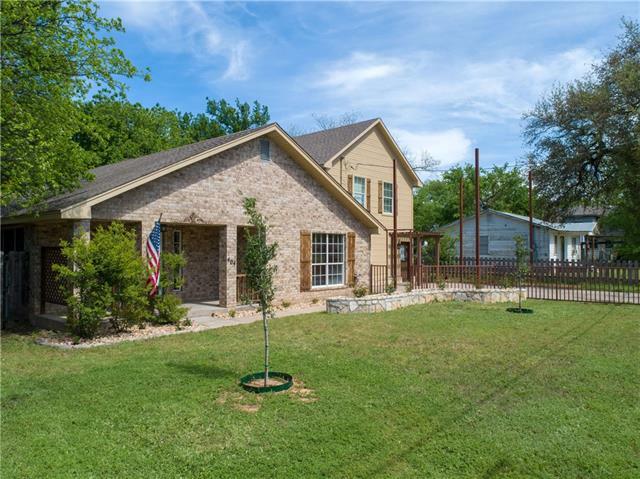 Great privacy, quality construction, nestled in the shade of large oak trees in scenic Somervell Co. 43 acre estate offers custom rock home w 4 en-suite bedrooms in main house, 2 bedr guest cottage & barn w 2 bedr living quarters. Spacious living areas with fireplaces, wood beams & vaulted ceilings, big dining & a"
"Beautiful ranch land on top of Chalk Mountain near Rough Creek Lodge. Many vistas, views, and changing terrain create a visually appealing ranch along with plenty of cover for wildlife. Topo changes from 1,260' to 1,130' above sea level. 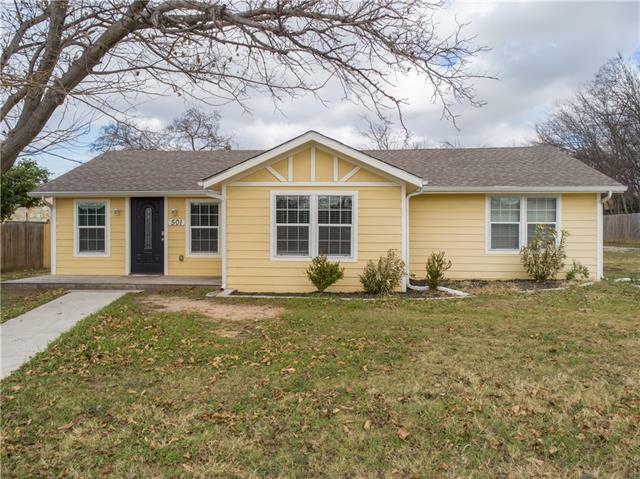 Improved with a 1,421 SF, 2-Bed, 2-Bath ranch house, 2-car detached garage, and multiple equipment barns. Property includes two surface tanks, a wet weather creek, and has been known to have a live spring. 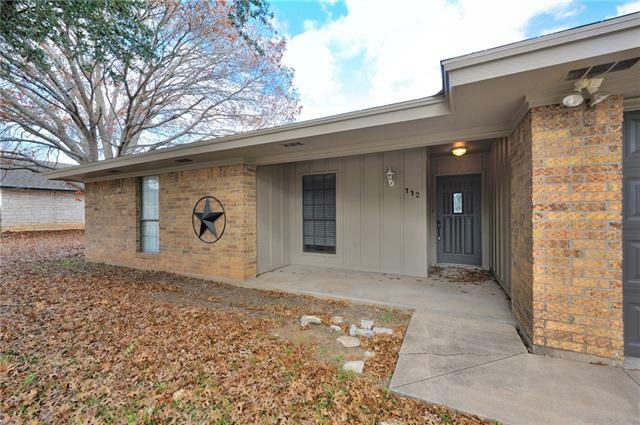 Ranch is part of the Chalk Mountain Wildlife Management "
"This beautifully landscaped home sits on over 7 acres in a highly sought after Glen Rose neighborhood. The spacious master suite is located downstairs, while upstairs you'll find 3 additional bedrooms. The eat in kitchen features granite countertops, stainless steel appliances and lots of cabinets. The laundry room also has ample built in storage. The property has a 10x20 workshop with electric. Additionally, the HVAC is only 1 year old, roof replaced in 2019." "River Front property In Old Historic downtown. Original part of home built in 1878 by one of Glen Rose very first Doctors , Isaac Van Buren Willingham. ( See History in Documents ).Original character throughout,Kitchen updated , Three Fireplaces's,Office or 4th Bedroom off dining area . Large Master with private bath and separate entrance . Rear parking with a one car carport & a one car garage.Small workshop with storage in rear with Ele. Relax on the beautiful covered porches with outstanding "
"Country home on 10 acres with additional cabin, workshop, storage buildings, barn, and more. 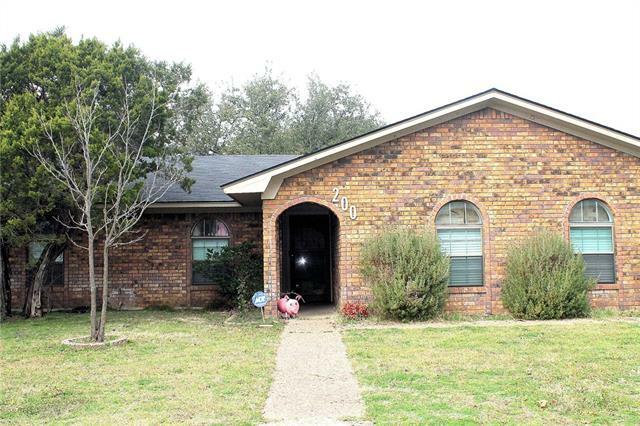 Brick home with metal roof, 3 bedrooms, 2 and one half baths, living room, game room, sun room, and more. Cabin is a great additional rental or room for guests. Fenced for your animals. Nice level terrain with several nice trees. Square footage listed includes 2300SF in main home and 448SF in cabin, per CAD." 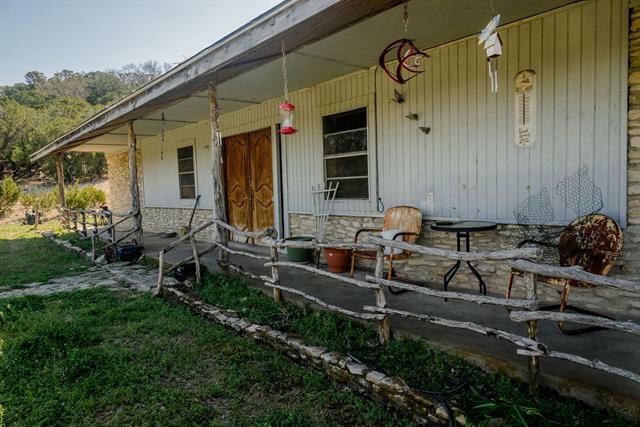 "GREAT 2-STORY HOME on 1.99 AC just 3 minutes from Glen Rose! Priced at only $90 per SF to allow for updates after closing! Approx 3740 SF with 2 liv areas & 5 bdrms - or maybe 3 bdrms with a study & office - so many possible uses! 9-10' ceilings. Spacious kit, walk-in pantry, breakfast area & formal din. Lovely front entrance features glass side panels & transom, with addtl transoms above various windows & atrium doors. Lots of windows, lots of light! Lg sun rm, attached & detached garages. 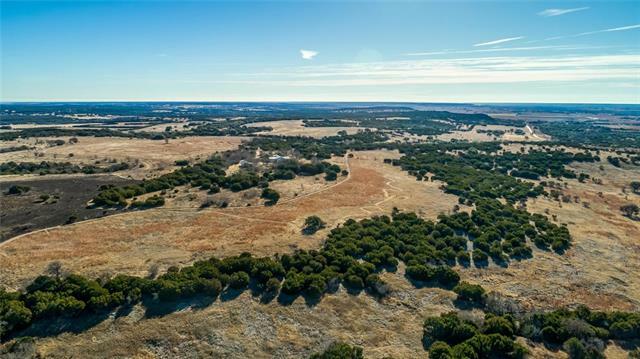 The"
"Beautiful views surround this 13.06 acres nestled in the heart of Somervell County. 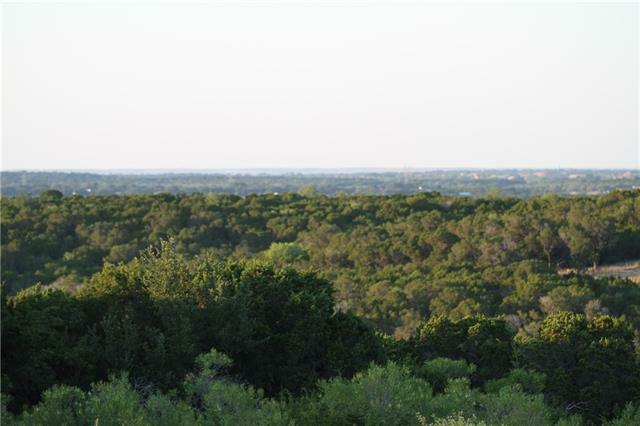 This land boasts long views and great sunrises and sunsets for as far as one can see. This is a great location to build your dream home or barndominium. Complete the already started House on 12x12 wood beams for a raised view of the land or start from scratch. This two bedroom country cabin is the perfect retreat for the hunter or nature lover. 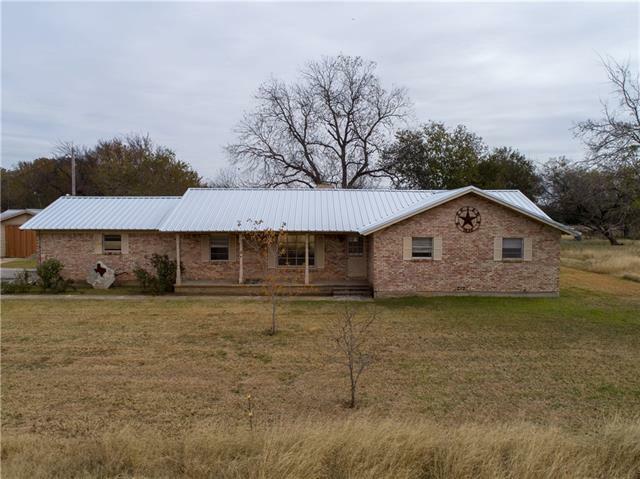 Producing mineral rights are not included but could be added for the "
"Ranch house home sits on over 23 acres in highly sought after Glen Rose TX. Beautiful views at the top of the hill can be used as another build site for a new construction home. This property backs up to larger property which will give you nice seclusion from the out side world. Perfect place to hunt deer, turkey and hogs. Cattle, horses, goats would make a great addition with this property. The Ranch house is built of solid rock! 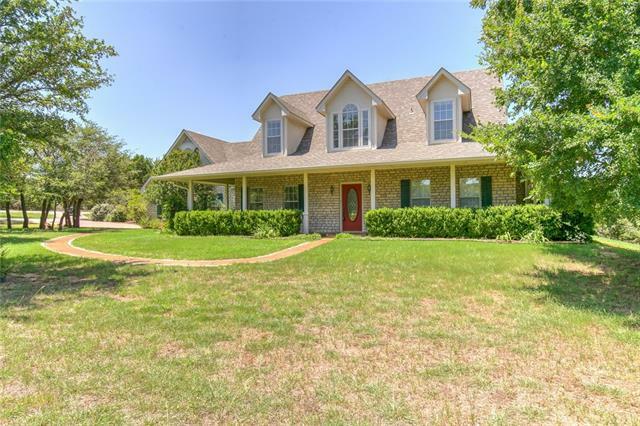 The home will need some updates.Come see this spectacular prope"
"Beautiful 5 bedroom house on 1.3 acres with mature pecan trees that provide plenty of shade for outdoor activities, plenty of yard for gardening and a storage shed to hold all your gardening tools. Split house concept with large bedrooms and the master bedroom and office located on one side of the house. Kitchen has oak cabinets with gas stove and granite countertops. 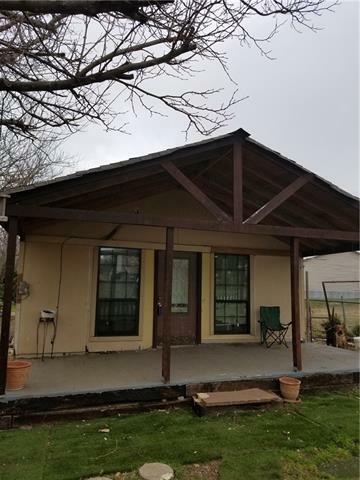 If you love the outdoors, this house is located approximately 6 miles from Dinosaur Valley and near Squaw Creek Golf Course. 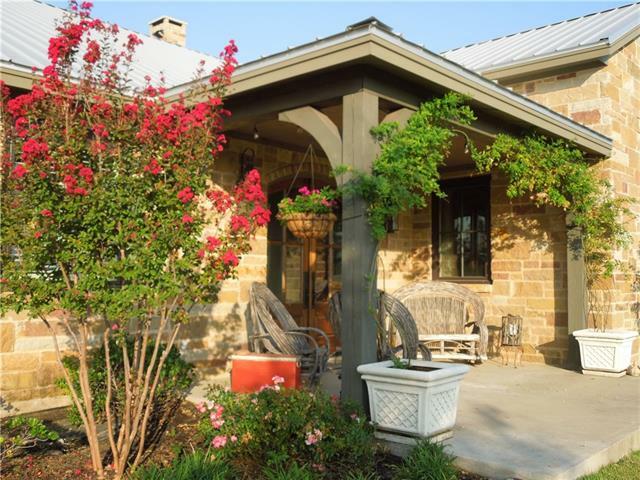 C"
"One of a kind property in the heart of Glen Rose. 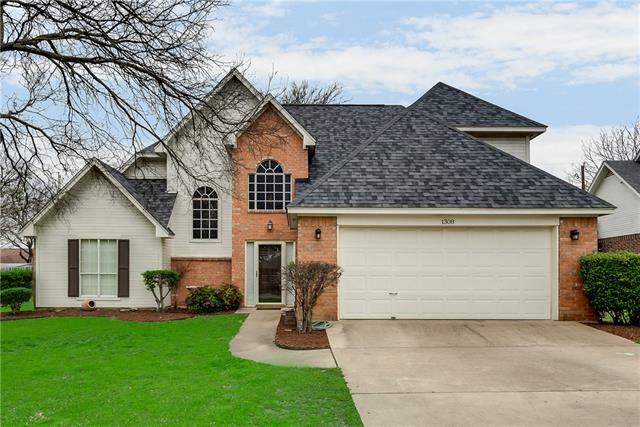 4 bedrooms, 3 and one-half baths, large living and dining area, convenient kitchen with recent updates including granite counter tops, den or office, large utility room, inside storage, second living area, and game room. Large master bedroom also includes a separate sitting area. Master has ample closet space. Large backyard set up for entertaining, includes building previously used as a classroom but has many optional uses. 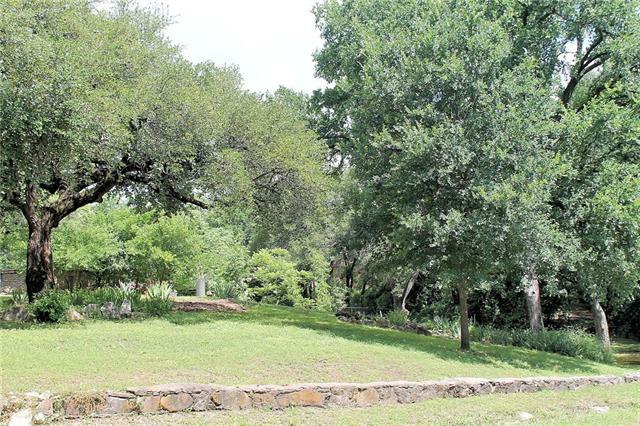 Conveniently located"
"Rare find with this Paluxy Riverfront home just outside of Glen Rose in Sunset Park Addition. Neat 3B-2B home with 2 car garage. Open concept living, dining, kitchen area with breakfast bar, walk in pantry, double oven range, convection oven and microwave. Split bedrooms, large master bath and closet. Enjoy sitting out back on large covered porch while listening to the Paluxy River flow by. Wide stairway leads to large deck overlooking the Paluxy River with convenient steps down to the bank of "
"Beautifully UPDATED throughout & MOVE-IN READY! Mstr Bdrm, Dining, & Kitchen over-look the large bckyrd, providing natural light into the home. Kitchen has gorgeous quartz countertops & solid wood cabinets. Living Rm has wood-burning fireplace & has been inspected. Nice tile in bathrooms, mstr bath has dual sinks. Laundry Rm has sink & closet. Bonus Rm could be 4th BDRM! New plumbing, gutters, roof, french doors, windows, appliances, AC & heating (2018). All appliances stay! Huge 13'x65' concret"
"Great house on large lot in established neighborhood. This 3 bedroom home has beautiful plank floors through the kitchen and living areas, and nice tile in bathrooms. The kitchen has granite countertops and breakfast bar. There are 2 large bonus rooms... media, game, exercise, play rooms... so many choices! Trees throughout most of yard provide shade for playing and entertaining. Workshop with electric has lots of space, and a bathroom for convenience when working or playing outside! There is "
"Delightful 3 bedroom 2.5 bathroom double story home in quiet subdivision just outside city limits. Master bedroom downstairs with en-suite bathroom and nice walk-in closet. Two comfortable light & bright living rooms plus study area with built-in bookshelves. Large fenced backyard with basketball goal on slab. Situated in the exemplary GRISD! No HOA & no city taxes. Priced to sell! Occupation preferred at June 4th, 2019." "This property comes with three rental units 100% occupied . A double wide with approx 1344 sq ft 3-2 , A single wide with approx 1020 sq ft a 2-222, and a frame build with approx 924 sq ft. 2-2 per tax office. There are two Aerobic systems, a water well , ( co-op water is also available at front of property . These units have been leased out but are month to month leases . Properties are arranged with each home having it's own area . Country type setting . 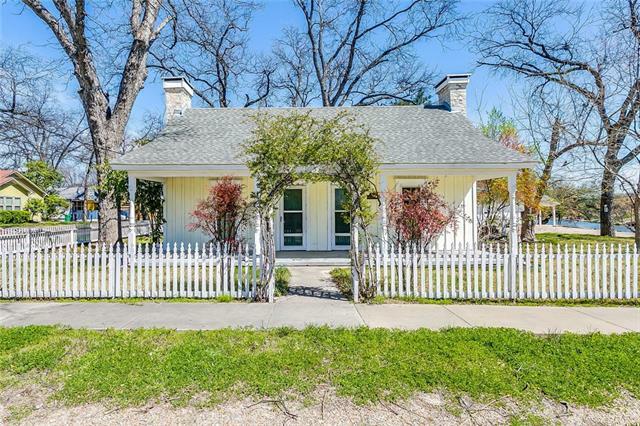 lots of trees with park type settin"
"Beautifully updated home with storage building and play house in the back yard. Updates include fresh paint stainless steel appliances granite counter tops in the kitchen. Large bedrooms through out the home. Master bedroom has duel walk in closets and heated floors in the master bath, along with numerous other features throughout the house." "House was completely remodeled 3 years ago. Just about everything new, including plumbing electrical, HVAC, flooring, cabinets, granite counter tops kitchen appliances, bath fixtures, electrical fixtures, paint and more. 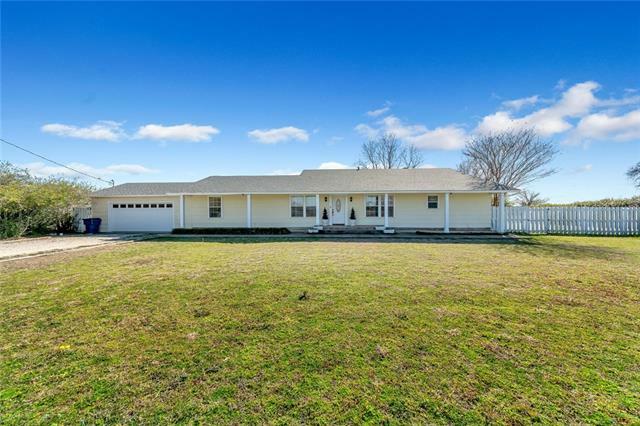 House sits on 2 lots and has privacy fence on three sides, and storage building. Excludes: Refrigerator, Washer, and Dryer." "Southern Charm! 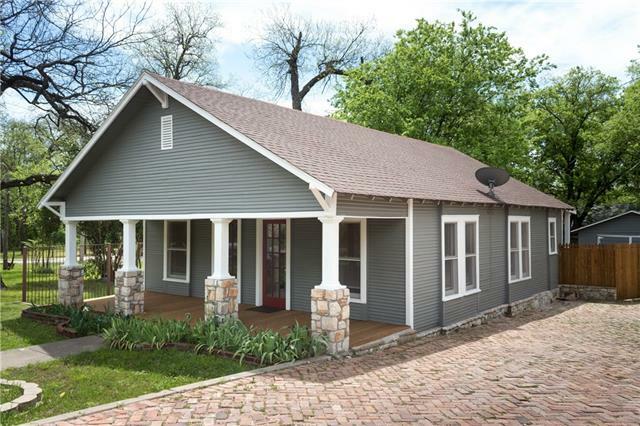 Beautifully remodeled home located within walking distance of Historical Downtown Glen Rose. Hardwood floors. Updated kitchen and bathroom. The zoning will allow this home to be commercial or residential. Perfect for business, bed and breakfast, vacation home rental, as well as resident. Includes neighboring lot for extra parking. Cute brick driveway adds to the Amercian charm of this home. Garage workshop is located behind the fence but can definitely be used as a garag"
"Great opportunity for an investor! This multi-parcel lot has a house and mobile home available. The house has a large kitchen and living anddining area. The mobile home is a single wide with plenty of space for a small family. Both properties must be sold together." "Looking for a fixer upper? Here it is. Large older shop included. Property includes 2 city lots, zoned R-3. Fix up the current home, sell or use the extra lot for another home or manufactured home. Or, clear it all off and build a duplex, triplex, or maybe even a fourplex."